The Grade 1 Travers Stakes at Saratoga Race Course will be run on August 24, 2019. Dating back to 1864, this one-and-a-quarter-mile "Midsummer Derby" for three year olds is the oldest major thoroughbred race in America -- not to mention one of the biggest events in Saratoga Springs! A stacked line-up of popular stakes races and huge purse hikes will make the 2018 Travers Day a can't-miss event! 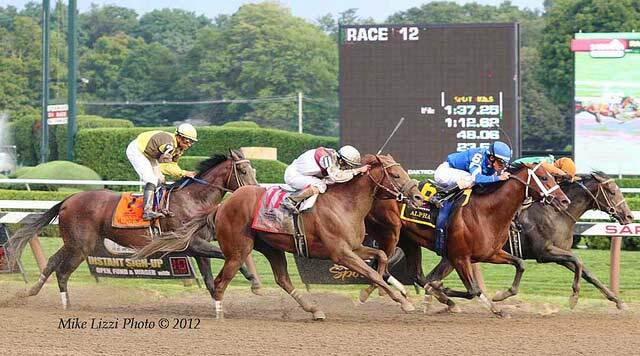 The much talked about Travers Stakes is undoubtedly the most popular race throughout the Saratoga meet. Saratoga Springs even holds a weeklong Travers Festival leading up to the anticipated event. Traffic will be heavy, parking might be scarce, and you can expect large crowds all enthusiastically making their way towards the track! Arrive early, pack a hearty breakfast (note: there is NO breakfast at the Track on Travers Day), tote a cooler, bring your favorite wine (see food and drink policies), and plan to make a day of it because you are there to witness Travers Day in Saratoga!